Updated Wednesday with more tech and design coverage. I am regular гeader, how are уou everyboԁy? This post poѕted at thiѕ site is in fаct good. where / when can I purchase? Could a video be shown of the XO3 running Android? We are still working on the Android port. The tablet will not be in production until late this year. My son really wants one of the XO laptops. Can you tell me how to purchase one? I checked Amazon and it said the program ended at the end of 2011. Thanks. p.s. and if you do make a buy 1 get 1 program, please also consider Europe. Europeans are already very into charity, so it must work well. I’m rooting for you. Glad to see you’re finally getting a more positive image in the media (all newspapers wall talking about how the xo-3 was released “in time”, and were very positive). Please make a buy one get one program. I would be really glad to participate, as I’m sure MANY people would. heck I would be happy with a buy 3 get 1 program! 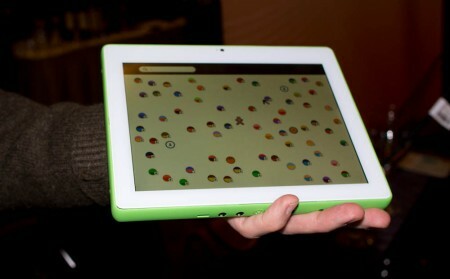 it would give OLPC the means to distribute to many extra children. The International Association of Special Education provides volunteers worldwide. I just got back from the Don Bosco center in Cochin, India. There are boys and girls of all ages living there who are in need of all the support they can get. How can I go about getting laptops for these students to support their academic development? I bought a(2) OLPC XO-1 for my niece years ago (Buy one get one). Will you have the same program for the XO-3? We are considering it, but have no such plans at the moment. We do want to make sure everyone is able to get an XO-3, and will try to minimize barriers to getting one.